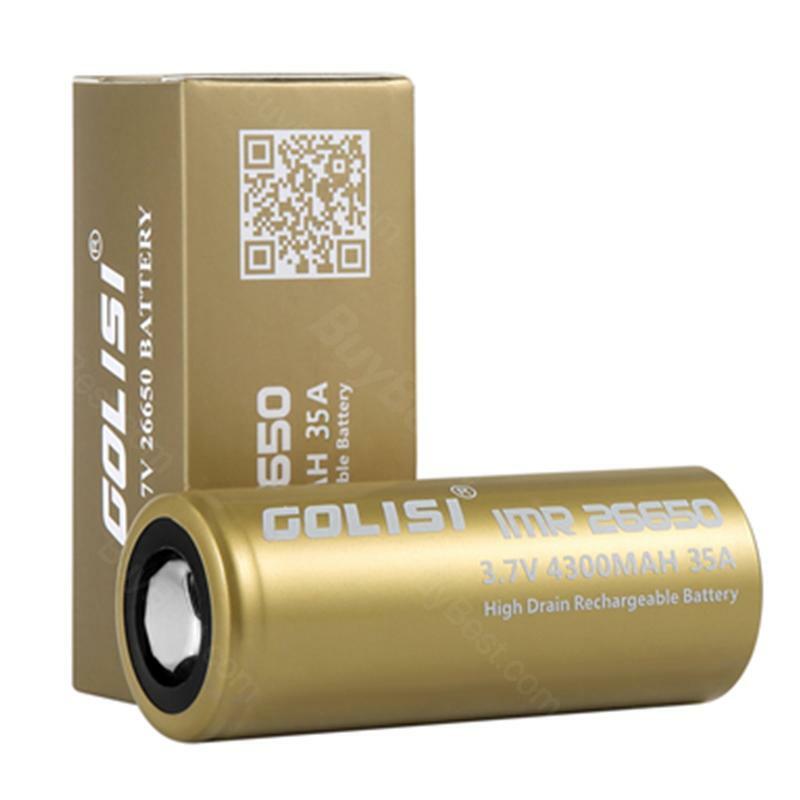 Golisi S43 IMR 26650 cell is a 4300mAh high performance rechargeable lithium battery and made for high continuous discharge current (max 35A) applications. It is more powerful, environment friendly, safer and economic to use. Golisi S43 IMR 26650 battery is a 4300mAh high performance rechargeable lithium battery and made for high continuous discharge current (max 35A) applications. It is more powerful, environment friendly, safer and economic to use. A strong battery for your e-cig vaping. • No hesitating of Golisi 4300mAh 26650 battery. Mooch just ranked it as one of the top three 26650’s, which supports over 30A continuous discharge current. Grab one and start your vaping with GeekVape Aegies MOD or others.